Nice, more character packs to add. 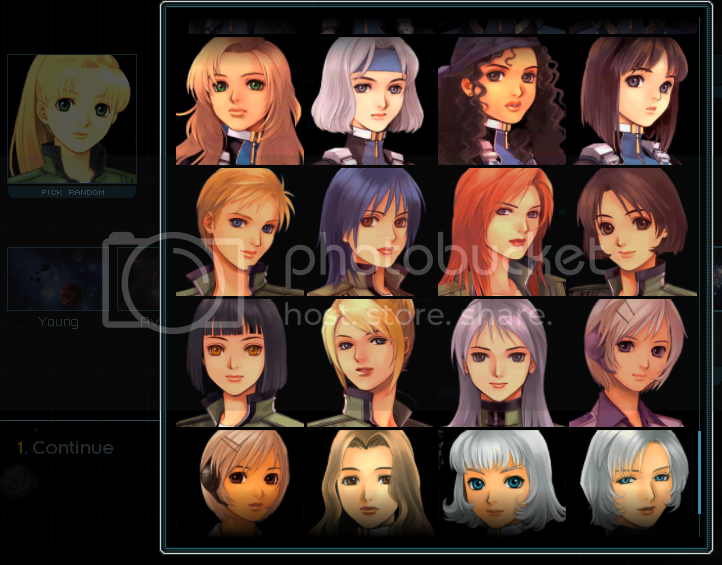 Oh my god Another portrait mod? Man, starsector is getting better each day. "Miracle" Yang at the command of a fleet. Speaking of which, you should clean out the background on some of the male portraits. So many characters that in every episode the first time a character appears on the screen, their name is displayed. And this is done for all 110 episodes. Hey, man. 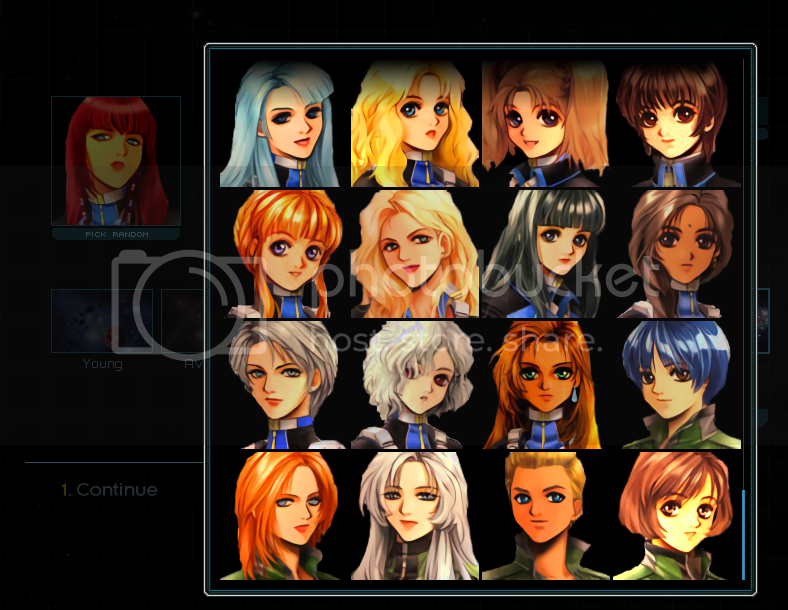 Have you ever seen the Infinite Space Portraits? I think they would be nice to look at and consider. Quick question, does this break a save game? New officers that will spawn will have access to new portraits but it will not affect the old. 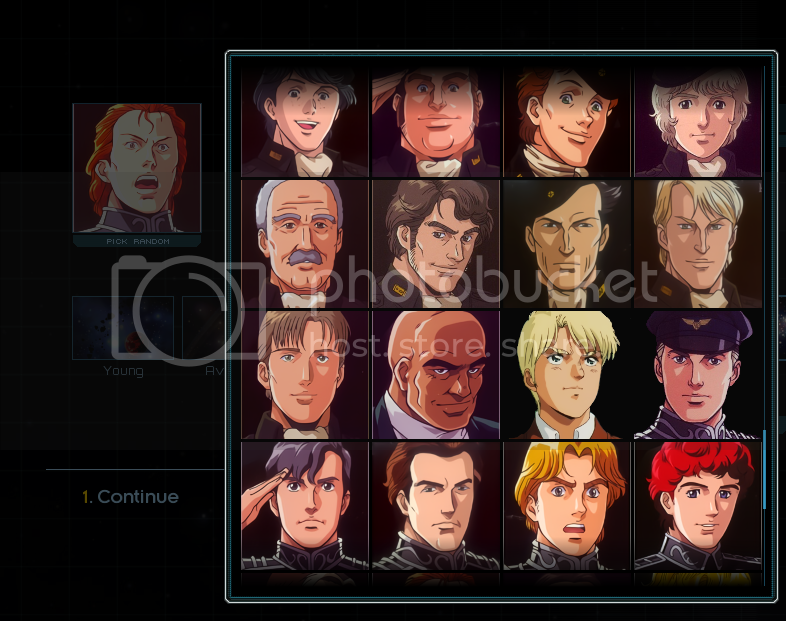 Are you going to add more portraits in the future? Preferably ones from japanese games?